In the European Year of Cultural Heritage 2018, artisans and archaeologists meet in the Spanish city of Mula to think up new cultural products inspired on prehistoric ceramic vessels. On October 29th and 30th, the Spanish city of Mula will receive potters and archaeologist from five European countries for the “CRAFTER” International Meeting. The event, which will feature sessions open to the public, has a twofold goal: to disseminate European archaeological heritage dating to the Bronze Age (2200-1500 BC) and reinvigorate traditional pottery craft. This meeting, which is co-organized by the Friends Association of the Archaeological Site of La Bastida (ASBA) and the Mula Town Hall, will mark the first stage of the European project Crafting Europe in the Bronze Age and Today (CRAFTER). The latter is an initiative carried out by a partnership of eight organisations from Spain, the Netherlands, Germany, Hungary and Serbia, with funding from the Creative Europe programme of the EACEA (Education, Audiovisual and Culture Executive Agency). 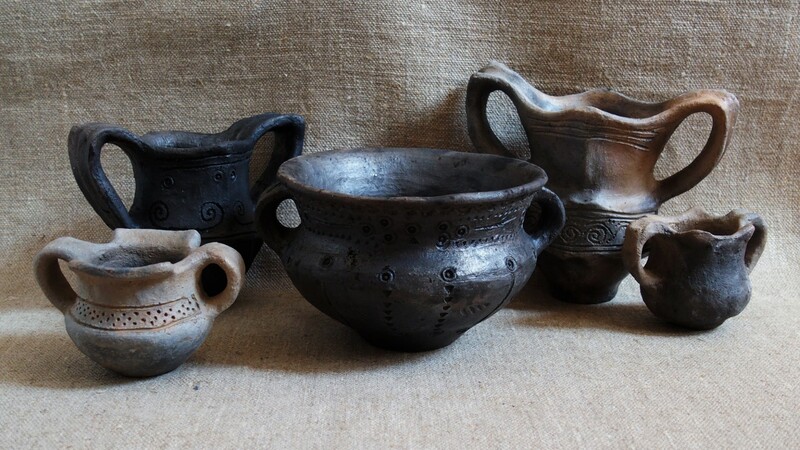 The project ultimately seeks that European artisans find in the pottery from four Bronze Age cultures (El Argar, Únĕtice, Füzesabony and Vatin) a source of inspiration for new cultural and artistic products. Thus, the “CRAFTER” International Meeting will gather some 25 professionals to share ideas and experiences by means of talks, a round table and experimental pottery-making demonstrations. The result will be common strategies that will help the participating potters to think up new creations stimulated by Europe’s Bronze Age, while at the same time making the archaeological heritage that serves as an inspiration more visible to the public. On October 31st, guided tours to the El Argar archaeological sites of La Almoloya (Pliego) and La Bastida (Totana), as well as two working potter workshops in the Spanish city of Totana, will be the focus of the closing day of the event. Moreover, this first major activity of CRAFTER has the label of the European Year of Cultural Heritage 2018. In addition to the project leader, the ASBA association, and the Mula Town Hall (Spain), the partnership in charge of the CRAFTER project comprises the following organisations: the Universitat Autònoma de Barcelona (Spain), EXARC (The Netherlands), the Halle State Museum of Prehistory (Germany), the Déri Museum of Debrecen and the Hungarian Academy of Sciences (Hungary) and the Hometown Museum of Paraćin (Serbia). Beyond this month’s international meeting in Mula, other activities organised in the framework of CRAFTER will take place until the project’s conclusion at the end of 2019. The most remarkable are the production of documentary films about prehistoric and modern pottery-making, and an exhibition containing all the results of the project, which will take place simultaneously in the four European museums that are members of the partnership. Vesna Vučković (Homeland Paraćin Museum). Pedro Navarro (ASBA); Bartolome y Jose Maria Bellon; Pedro Hernandez (ASART). Beatrix Weissflog (Halle Museum of Prehistory). Laszlo Gucsi (Hungarian Academy of Sciences). Caroline Jeffra (EXARC / Univ. Amsterdam). 16:30h - 19:30h Experimental Pottery-Making demonstrations. To participate in the public sessions and guided tours of the event, please contact asbadetotana@gmail.com or call 690 93 51 44 (from Monday to Friday, and from 8.00 am to 3.15 pm).